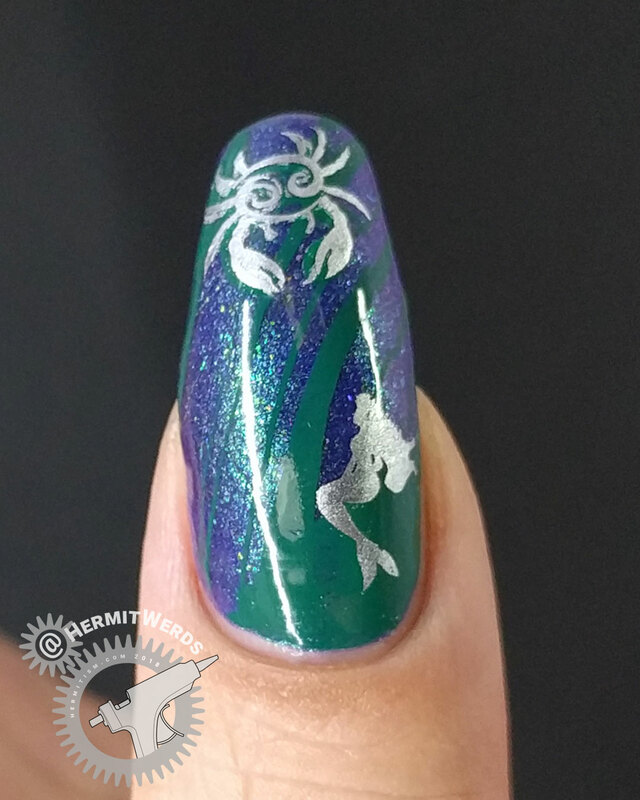 So this was a wonderful blend of prompts: #AZNailArtChallenge’s Indie and both #SummerToxicVanity’s, #Beautometry’s and #GlamNailChallenge’s Mermaid (very common theme for this month). 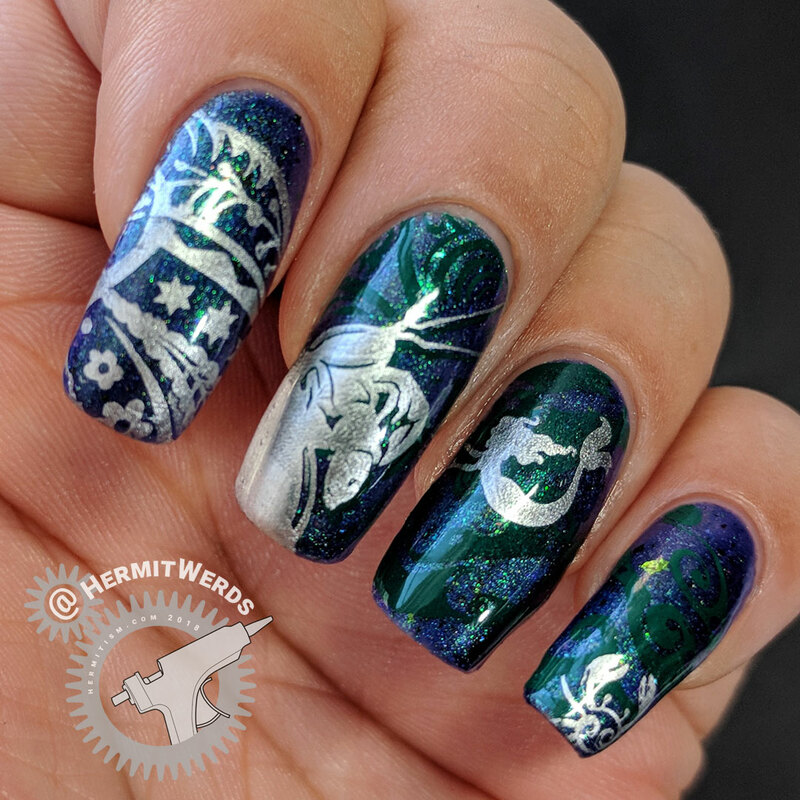 Now I only had to include an indie polish as my base, but I also wanted to bring an indie stamping plate into the mix. 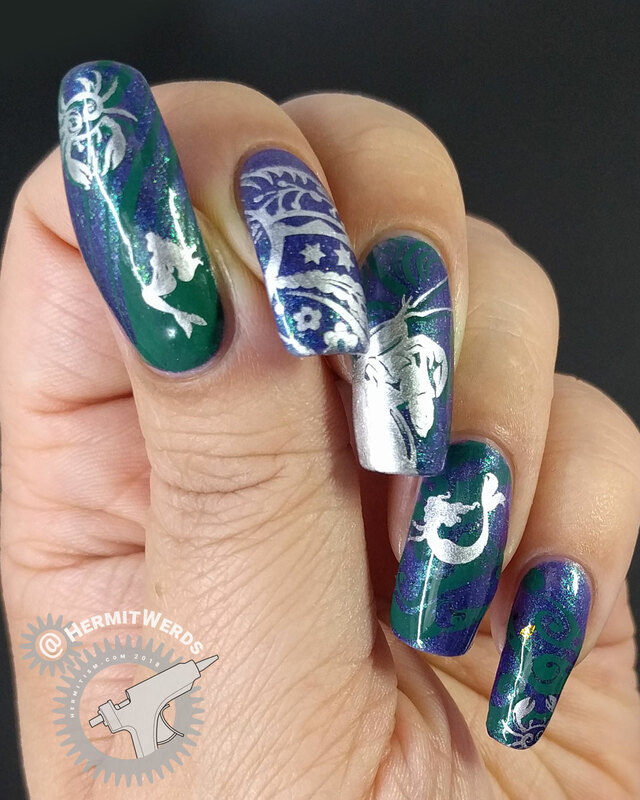 Thank goodness I had UberChic’s Mermaid Life stamping plate. But where did the crabs come from? Well, everyone’s allowed to have a pet, but in this case it’s because Beautometry’s challenges require that you use a product they are currently selling in their store. 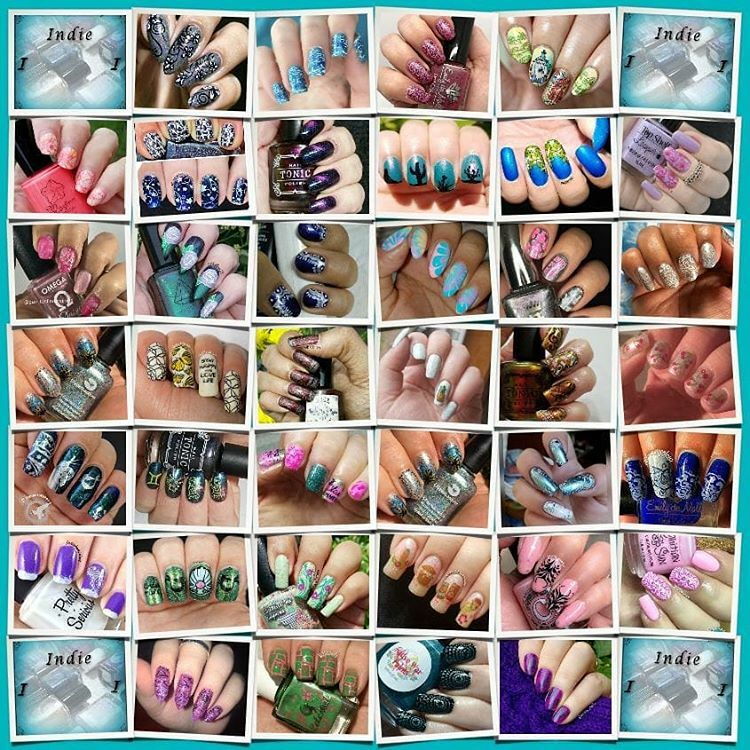 I don’t have too much overlap with them, so I will probably be relying on my Moyou London stamping plates a lot this month. Plus if Tamatoa hasn’t taught you that giant crabs are awesome, I don’t what will. 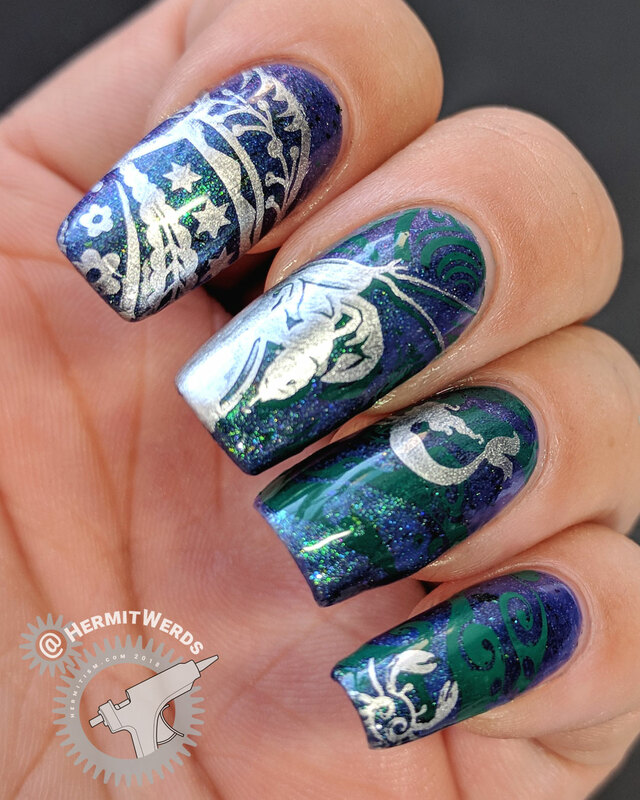 I’ve been trying to use double stamping more and so far it’s really working out for me. 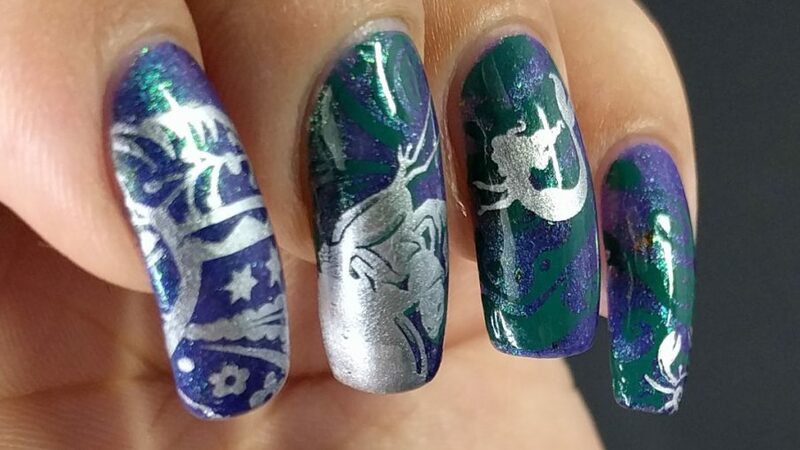 I didn’t even use it for every stamping image, but I think all the details show just fine. And I painstakingly colored in zero decals for this. Which is good because the nail art I just painted (and you will see on Sunday) was nothing but decals. Woof!